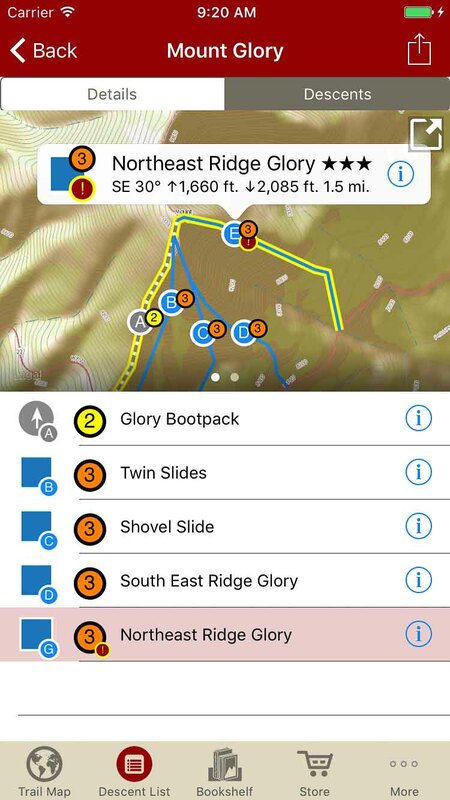 This guidebook is available now on rakkup's iOS app, and is not yet available for rakkup's Android app. Teton Pass offers some of the best roadside-access skiing and snowboarding in North America.This guidebook includes descriptions, approaches, exits, and hazards for about 100 ski descents in the Teton Pass area written by Jamie Weeks, an AMGA-certified guide with years of experience guiding in the Tetons and Alaska. 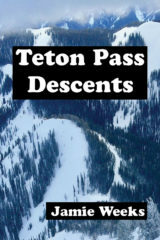 The descents described in this book range from the fun, easy bowls of the Edelweiss area to the challenging extreme terrain on Mount Glory and Taylor Mountain. 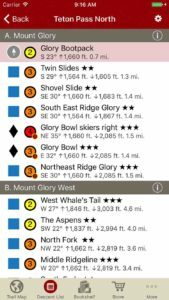 This guidebook will assist your decision making before your trip and continue to provide guidance while you are in the mountains. 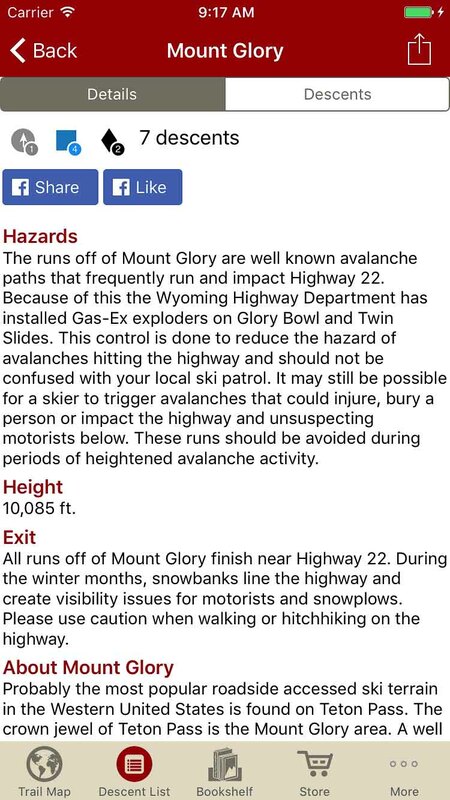 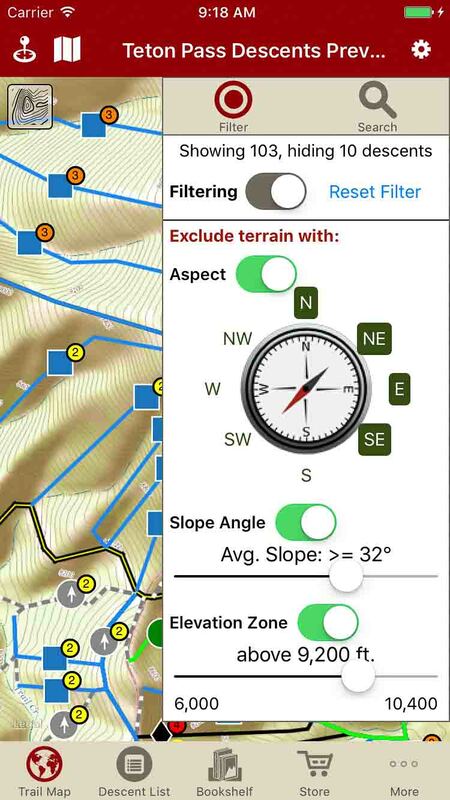 Check with your local avalanche center, then use rakkup’s unique filtering to remove descents based on slope, aspect, and elevation. 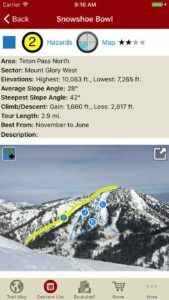 Descriptions, approach, exit and hazards for each of the 100+ runs written by AMGA Ski Guide Jamie Weeks using his years of intimate knowledge of the Teton Pass Area. 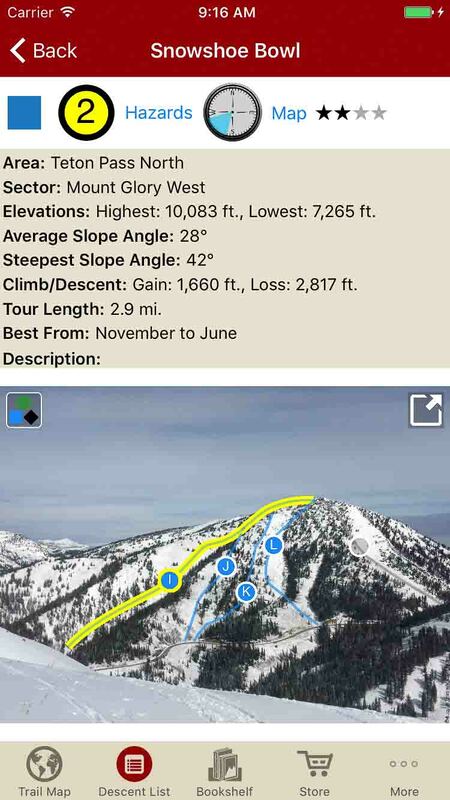 Interactive photos in the descent description give you tappable information about your ski run. 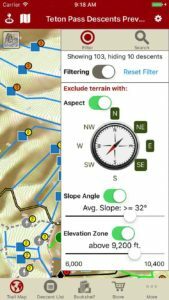 Our interactive map shows your current location, your selected descent and the surrounding descent options. 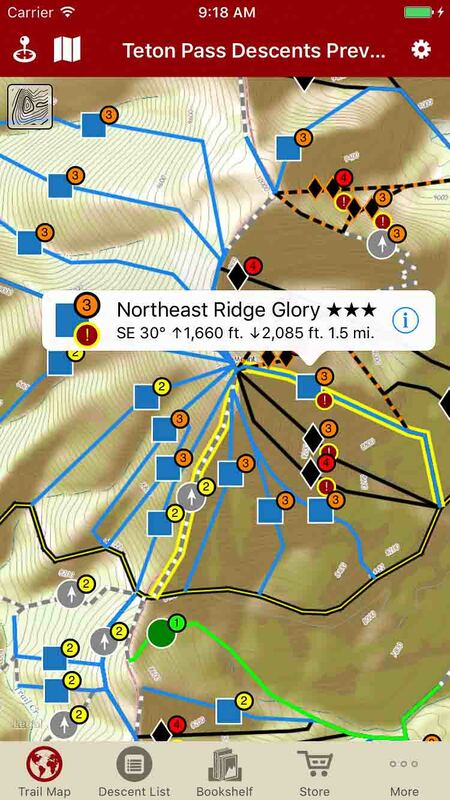 Tap on a descent name and see where it is located on the map. 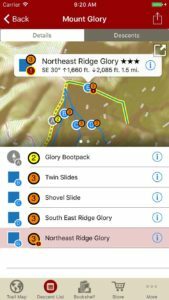 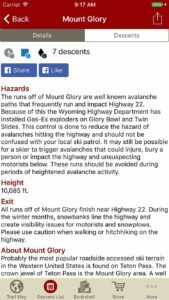 Tap a descent on the map to see detailed information or open a full-page description. 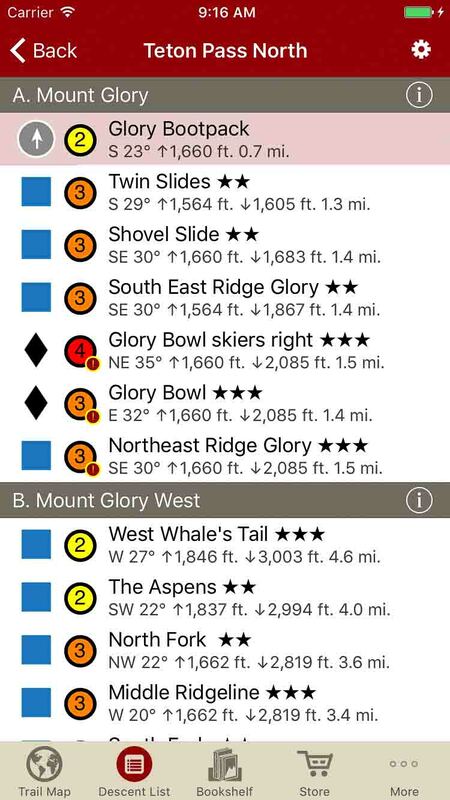 Over 100 ski descents in the Teton Pass area in the palm of your hand.